We are soon to launch a new global accommodation portal and require some initial design work. This contest is for logo development for our brand. We require 2 variations of the logo. The first is the larger logo which will be used to overlay onto slideshow photos, use in presentations, business cards, etc. The second style of logo will be used where space is limited and will need to look nice at about 60px high. We are looking for a simple, yet colorful design. Look at logos like FlipKey, HomeAway, VRBO, TripAdvisor, AirBnB, for ideas. 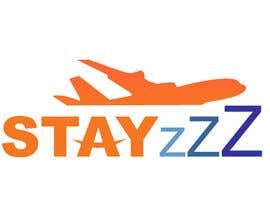 Our name Stayzzz represents "where to stay" on a vacation or trip. 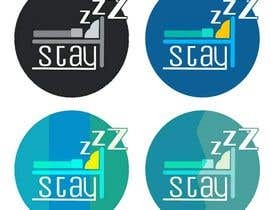 The 3 z's (zzz) represent sleep. 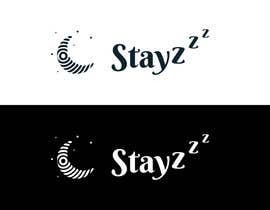 We would like to see those used in the logo so it's easily understood that it represents sleep. Typically, when you see these z's used in a graphic, cartoon or image, the size of the z's starts small and gets larger. Perhaps the logo could include a nice image of a house symbol or something like that. It will also need to look nice if seen in black or white format depending on usage. Keep it simple and colorful. We will know exactly what we like when we see it. Ask additional questions if needed. This logo will become a registered trademark so please do not use any artwork that may cause infringement. I have attached a file that shows usage of two logos, in different sizes, one for overlaying and one for narrow spaces as an example. Thanks everyone for participating! We have chosen a winner! It's got to be tough submitting entries not knowing the outcome... But I guess that's why it's a contest! We have other projects soon to be put to contest. My apologies everyone... This is our first contest so not quite on the ball yet. We will be rating the entries soon. Please don't be offended if we reject some entries. We thank you all for your efforts. You're welcome to submit new entries based upon the quality of the ones remaining in contest. pls check # 59, give your feedback,ths. #48 and #49 . Thanks! #41 , #42 , #43 for ur valuable rating & comments, Sir. Please check #12 Many thanks Dez Jones. Please read comments on entries for design clues. 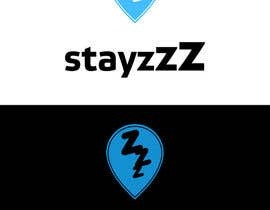 The larger logo shown in the example does not need to be as artsy, but represents how we want to use the two different sizes. I have now attached a file that shows usage of two logos, in different sizes, one for overlaying and one for narrow spaces as an example. My apologies. 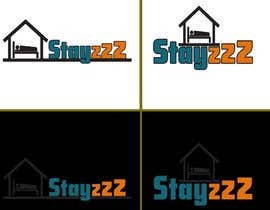 The only word needed on the logo is STAY or Stay and the 3 z's. We envision the z's to be a variation of size. Imagine a person in a hammock under a palm tree sleeping with the z's coming off in a bubble like you might see in a cartoon. Not saying that we want it to look like a cartoon, nor are we saying to use a hammock and palm trees, but the connection needs to be instantly made by anyone viewing the image.